Our home built in 1828 as an Inn has been restored and renovated into a beautiful family home. We enjoy the charm of an sandstone home with all the modern lifestyle needs. Our garden is an abundance of colour and tranquility. We grow herbs,vegeatables and many fruits. Our four bedrooms are all upstairs and are bright and cheerful. You may enjoy a meal or drink in front of an open fire or in the garden. Perhaps relax while reading or writing in the study. 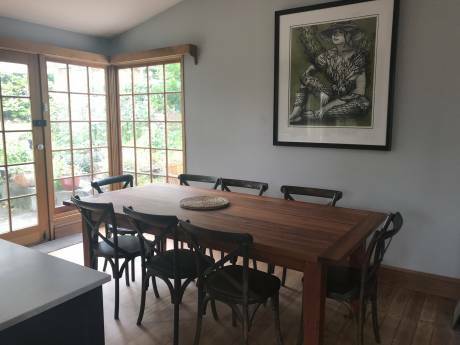 From our well appointed large garden kitchen you may view the outdoor dining area or simply watch the children playing. For those who enjoy wine our cellar is a great escape. 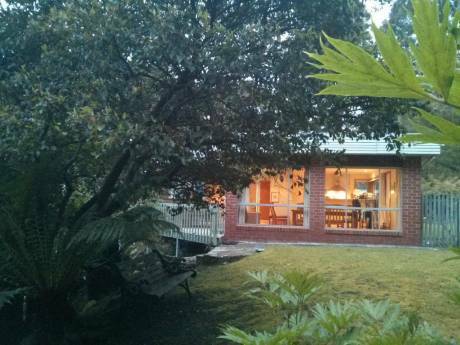 We love our home and are sure it would make a wonderful base for your Tasmanian experience. We are Elizabeth and Stephen. We have two boys aged 9 and 5 years. We have owned and operated Hotels and Restaurants for many years and are now enjoying a quieter life with our children. We have traveled extensively and enjoy the experiences gained from meeting many people. Our goal is to enjoy further travel with our kids and introduce them to different cultures. Our interests range from photography,fine art,sailing to cycling ,gardening cooking and music. Life ! We would enjoy a medium to long exchange if possible. 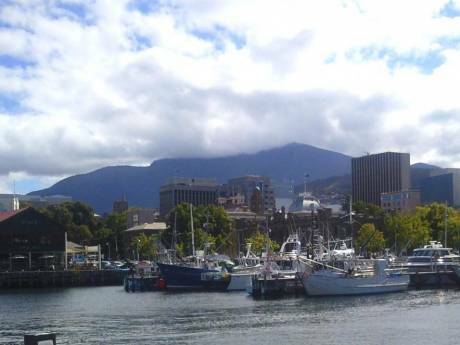 Tasmania has so much to experience and we believe you would be very happy staying here. The village of Richmond is located in the Coal River Valley some 26klm from Hobart City and 15 minutes from Hobart Airport. Richmond is Australia's finest Georgian village and home to Australia's oldest bridge and Catholic Church. Many interesting buildings from Tasmania's colonial days remain in use today housing galleries restaurants and shops. We are situated amongst some of Tasmania's finest vineyards and near to many beautiful beaches. The Coal River gently flows through the village and offers wonderful places to sit or feed the ducks. The village is an ideal place to live while exploring the extraordinary island Tasmania.